A new, unique and innovative portable electric doublebass. true, genuine acoustic sound, real feeling and the best portability ever. and travel the world with TravelBass. Travel Bass is entirely made in cedar, ovankgol and maple wood following the traditional Italian violin making method and highest quality standards. Its hollow acoustic chamber inner thicknesses are worked by the wise hands of the finest Italian luthiers giving Travel Bass its real acoustic sound, rich of harmonics and sustain. Designed to be as easy and natural as possible: its shapes give same playing feelings of a classic doublebass, and its innovative mounting system makes Travel Bass to be set up in 5 minutes. Ready to play. 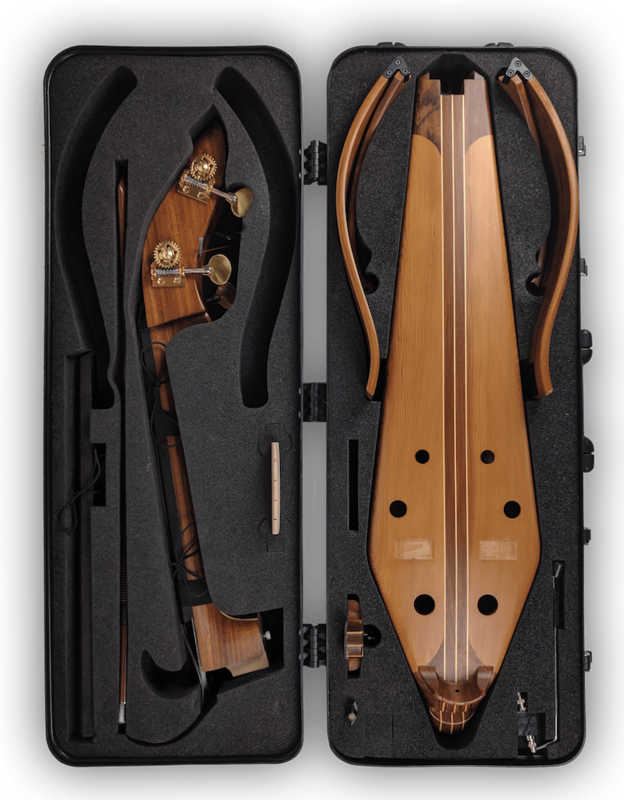 Travel Bass is designed to be completely dismountable and safetely fitted into its Travel Bass Box flight case: handy, robust and agile. 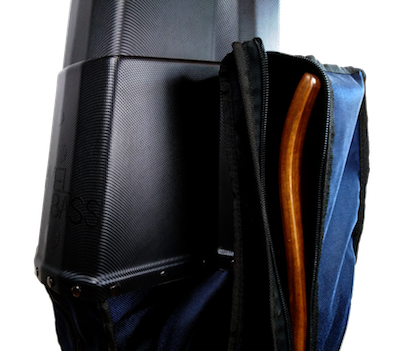 Travel Bass Box can be fitted in the overhead locker on plane, allows you to carrying it with you on board as hand luggage enjoying the flight as anyone else: the perfect ally for international musicians. No matter where you're headed and by which way: TravelBass Box will be always at your side. Hybrid Gigbag is definitely an innovative and original concept for a string instrument bag, where practicality, lightness and robustness converge in a charming and smart design. Complete hollow body with luthier made inner thickness. Made of cedar wood, ovangkol, maple wood. Fingerboard is provided with a standard set-up, with a light scoop. TravelBass fingerboard can be worked as a regular fingerboard by your trusted luthier to get your favourite set-up. Maple wood, provided with adjustment wheels and chosen pick-ups already mounted in. Also Standard bridges are available. Wooden endpin made of ovangkol and maple wood. 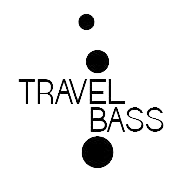 TravelBass due its extreme portability to its cutted fingerboard that could be joined and divided easily and quickly, to be stored in less space. The two parts are are joined thanks to rigid core in the neck, made up of a T-bar specifically designed and shaped to slides into a dovetail slot on the end part of the fingerboard. 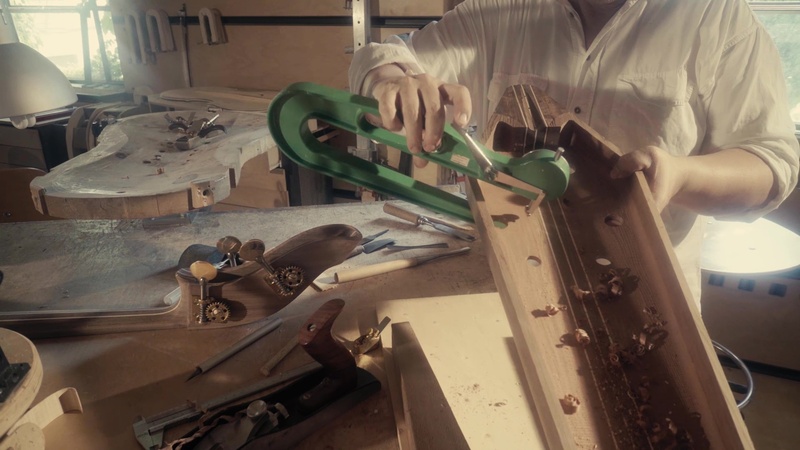 Together with the slolts carved on the body to house precisely the bridge feet everytime, we invented the SafeBridge Tool: an extremely useful tool that keep the bridge in the right position, perpendicular to the body, during the tuning. When you tune your upright bass by turning the pegs, you basically are pulling the strings backwards while them are pushing down over the bridge: sliding on the bridge top, strings drag backwards the bridge itself moving it or, worst, bending it back, threatening to break it. SafeBridge Tool is also available for your standard acoustic double bass. To get your favourite set up. In addition to the wheels on the bridge feet, TravelBass bass provide an additional adjustment system to get your favourite set up. Two screws placed over the neck tail housing can be turned up or down, modifying the neck supporting area. By lowering the screws equally, the neck tilt towards the front, while by raising them up, the neck tilt backwards. Turning the screws unequally, you can get the neck slightly tilted to the left or to the right. 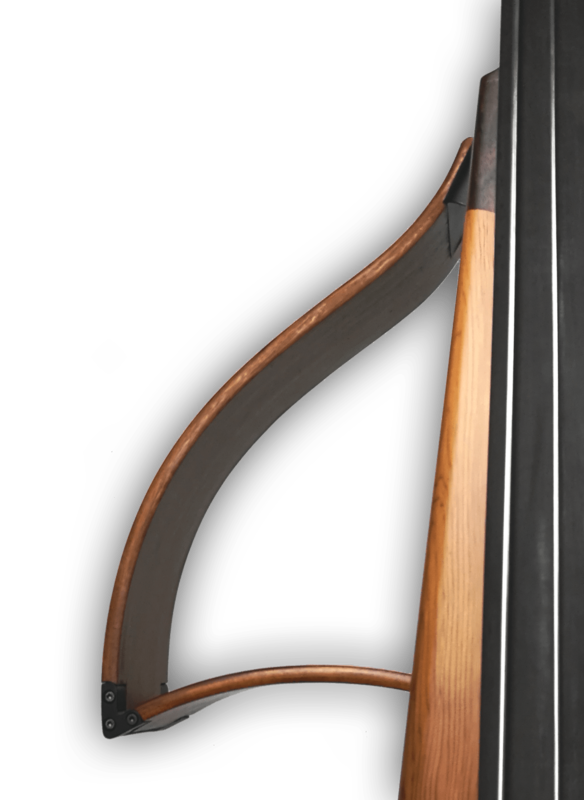 TravelBass is provided with two foldable wooden shoulders that exactly reproduce the double bass silhouette to give to musicians the same tactile references and the same feedbacks of a traditional double bass. Moreover, shoulder's span can be adjusted in 3 different sizes, to find your best own comfort when playing. Copyright © 2018 - BdP Instruments LLC, All rights reserved.